Leave Others Behind in a flash with the JetSpeed FT350 Skate. 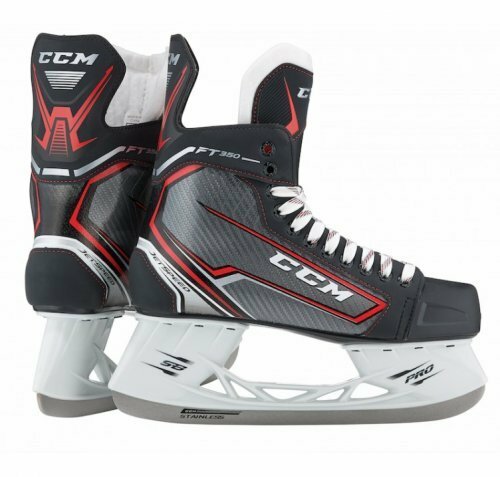 Featuring the RocketFrame Composite quarter package, and the lightweight SpeedCore 1, the JetSpeed FT350 skate will help you generate more speed with every stride. 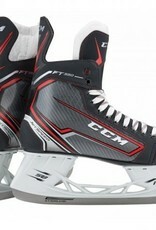 The FT350 skates are heat moldable to allow you to get a fully customised fit for advanced comfort and performance. Core: INJECTED WITH COMPOSITE SKIN Durable boot with structural stiffness. Tongue: FELT TONGUE 7mm felt for comfort and protection. Holder: SPEEDBLADE PRO Non replaceable stainless steel blade with elevated holder for increased attack angle.